Dental hygiene is considered to be one of the top best health care support jobs, both financially and emotionally rewarding. It is listed in the top 100 jobs, according to the US News; and Forbes included dental hygiene in its list entitled, “The Best Jobs That Don’t Require a Four-Year Degree”. Dental hygienists work alongside dentists to care for patients oral health. Because of the low-stress dental hygienists experience at the workplace, hygienists have a fulfilling career, and many stay in their jobs into their 60’s. Learn more about the rapidly growing and expanding the field of dental hygiene. Find a local dental hygiene program. Dental hygienists are the ones who prep their patient’s mouth for the dentist. They are the people who clean the teeth, examine the mouth for signs of any concerning oral conditions such as gum disease or oral cancers. They also will document the visit and educate the patient on how to take better care of and explain preventative measures of their mouths, teeth, and gums. Dental hygienists may take mouth x-rays, and apply tooth sealants and protectants. Tools hygienists use to clean teeth and gums are usually manual, powered, or ultrasonic, and they may use lasers, as well. Some dentist offices will have their Registered Dental Hygienists administer local anesthesia and nitrous oxide, place fillings, remove sutures, polish restorations, and do some minor periodontal procedures such as root planing. Dental hygienists perform their duties in a variety of settings beyond dentist offices. They may be employed in community health centers, nursing homes, prisons, schools and colleges, and state and federal government facilities. Strong Communication Skills: As a dental hygienist, you’re working closely with both the doctor and the patient. So, it’s important that you’re able to clearly and effectively communicate important details. Attention to Details: An excellent dental hygienist needs to be able to catch even the most minute detail within the confines of the patient’s mouth. Better-than-decent Dexterity: Your hands are dangling in the mouths of patients so they need to be super steady because one slip and you can severely hurt them. Shaky hands equal scared sufferer. Passionate about their position: You need to love all things oral health because you are the one who informs and educates your patients on best practices. Also, patients love hygienists who are enthusiastic and outgoing; it makes for a better visit because not too many people love visiting their dentist. Superior Stamina: As a dental hygienist, you’re moving around a lot. You’re constantly switching from sitting to standing which, while good exercise (think squats! ), can be exhausting. Most dental hygienists start out in a community college or trade school in the dental hygiene program. Typically, an Associate’s in Applied Science in Dental Hygiene is the most common path and the one most preferred by potential employers. Most dental hygiene programs require one year of college curriculum with a GPA of 2.5 of higher before entering the program. Programs will take anywhere from two to four years, depending on whether you’re going for an associate’s or bachelor’s degree. All programs are similar, whether you’re going for an associate’s degree or bachelor’s degree. Both have general ed classes, as well as those that pertain directly to dental hygiene. However, when going for a bachelor’s degree, the courses go more in-depth, allowing the student a deeper knowledge of the field. While the bachelor’s degree option is perfect for those who plan on teaching, going into the research aspect of dental hygiene, or working in a clinical setting for schools or public health programs, an associate’s degree plus the certification is all that’s necessary to be employable. In the associate’s degree program for dental hygiene, there are 24 credits of general education and 50 credits of core courses required, along with 8 elective credits. Bachelor’s degrees have a higher course credit requirement. 45 general elective credits, 68 core class credits, and 6 elective credits. Dental hygiene coursework will include both classroom and practical, or hands-on, learning. Most programs include anatomy and physiology, microbiology and immunology, intro to dental hygiene, dental anatomy, periodontics, head and neck anatomy, and radiology in their curriculum. One thing to be aware of when looking for a dental hygiene program is that if it is not accredited, there are no available government funds for financial aid. To receive any financial aid, the program you’re considering MUST be approved by the Commission of Dental Accreditation. For full financial aid information, please refer to this article. Also, be sure to discuss your options with the financial aid office of whichever program you choose to attend. Each program, whether you choose to attend a community college or a university, will typically not include the cost of the uniforms, lab coats, shoes, tools of the trade, professional association fees, computer lab fees, malpractice insurance, textbooks, and room and board if necessary. Certification fees, across the board, are $410, so you’ll need to add that to the cost of schooling. Depending on the school and its location, it could be on the higher or lower end of the cost. Prices are also different if you’re an in-state or out-of-state student. Out-of-state tuition is generally much higher. Being a dental hygienist doesn’t mean you’ll be forever working inside the mouths of patients. 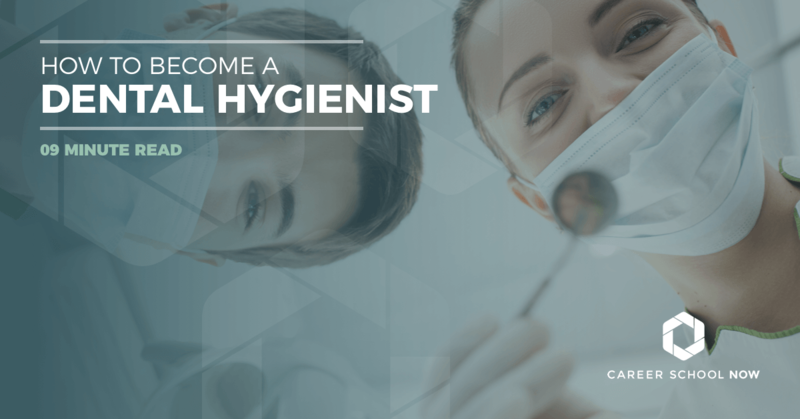 There are quite a few different career options once you’re a Registered Dental Hygienist. Corporate: Corporate Dental Hygienists are usually hired in by corporations or companies that are involved in the health and wellness industry. Dental hygienists are employable in these settings because of their grasp of the knowledge involved in the dental industry. Public Health: Public health programs are typically funded by the government. Dental hygienists who work in the public health field are usually providing care to those who wouldn’t otherwise be able to afford it. Examples of public health opportunities are Indian Reservation Health Services, health departments, Head Start Programs, and State Public Health Officer. Researcher: For a research position, Dental Hygienists need to have a Bachelor’s Degree. In the research industry the hygienist would be tasked with giving out surveys and formulating the results, which is considered quantitative research. Qualitative research would include the testing of new products or procedures for accuracy and effectiveness. Educator: Dental Hygiene educators are in great demand. They are needed in colleges and universities throughout the United States. Corporations also hire Dental Hygienists to provide continuing education to other Registered Dental Hygienists. Median annual salary is $49,931 for Dental Hygiene Educators. Administrator: Organizational skills, community objectives, managing resources, evaluating and modifying programs already in place are all part of what dental hygienists who go into administration do. Public Health Administrators earn $62,246 annually, on average. Pediatric and Periodontal Dental Hygienists: both earn an annual salary of $72,330. Both are rewarding specialities, as well. So, if you can envision enjoying a high-paying, stable, and rewarding career without having to spend years in school, then dental hygiene is the right choice for you! Dental hygiene is one of the fastest growing careers. Employment is expected to advance 20 percent through 2026 which is far greater than most other occupations. Dental hygienists graduating from dental hygiene programs are also increasing which will make this particular field highly competitive, with the most competition concentrated in full-time positions. Driving the employment growth for dental hygienists is the change in the healthcare. With more Americans having health insurance than ever before means more visits to the dentist, which, in turn, increases the number of hygienists dentists will be hiring. Dental hygiene is one of the highest paying vocational careers. Benefits and pay vary by employer, however, the median annual wage, or the national average, for dental hygienists is $74K. The lower 10 percent earn $51K while the highest 10 percent will make $101K per year. Dental hygienists have varying pay structures, depending on where they are employed. Some have a base salary, some are paid hourly. However, there are also dental hygienists who are paid straight commission, or a base plus commission, both of which are used as production incentives by the hiring office. The more the hygienists work, the better they are paid. Commission-based dental hygienist jobs can end up being higher paying than their base salary counterparts. Each state has different licensing requirements for dental hygienists. One thing is certain across the land, to practice as a dental hygienist, you must be certified. To be eligible for certification, you must graduate from an accredited dental hygiene program. There are a large number of Commission of Dental Accreditation (CODA) certified programs throughout the United States. Max 12 hours restorative study. CPR up to 3 hours. CPR for 12 hours. Must be clinical. CPR up to 4 hours. CPR advanced up to 8 hours. Successful completion of the National Board. After you’ve completed the dental hygiene program, you must pass the National Board Dental Hygiene Examination given by the American Dental Association. The test has 350 multiple choice questions, and you must get a minimum score of 70% to pass. You will also be required to complete a clinical board exam on either the state or regional level.